A one-day colloquium, hosted by the University of Oxford, is to examine new finds from the site of the final naval battle between Rome and Carthage in the First Punic War (in 241 BC). The 23-year long naval war was between the two great powers of the Mediterranean for control of Sicily. 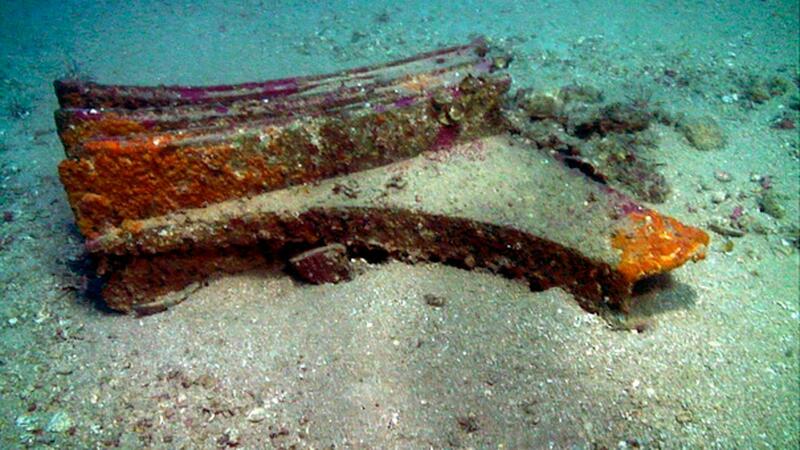 The Egadi Islands Project has so far yielded a total of 10 ancient bronze warship rams, mostly recovered from a site on the sea-bed off the western coast of Sicily. The ten rams (Latin rostra), each weighing around 125 kilogrammes and made of bronze, were mounted on the prow of the warships (ancient triremes or quinquiremes), and were used to ram the enemy ships. They are a rare discovery as there are thought to be only four other ships’ rams in total from all of antiquity. These rams are the first to be found in an archaeological context, and bear inscriptions, mainly in Latin but also in Punic (spoken by the people of Carthage). The rams are only one part of the material discovered on the sea-bed, which includes helmets and amphorae from both sides, and offers a remarkable example of the landscape of ancient naval battle-field debris. Much of the Punic culture was destroyed as a result of the Punic Wars fought between Rome and Carthage from 264 to 146 BCE. The workshop at Oxford will offer the first major opportunity for the archaeologists responsible for their discovery to discuss the finds with leading historians and archaeologists of ancient warship construction. 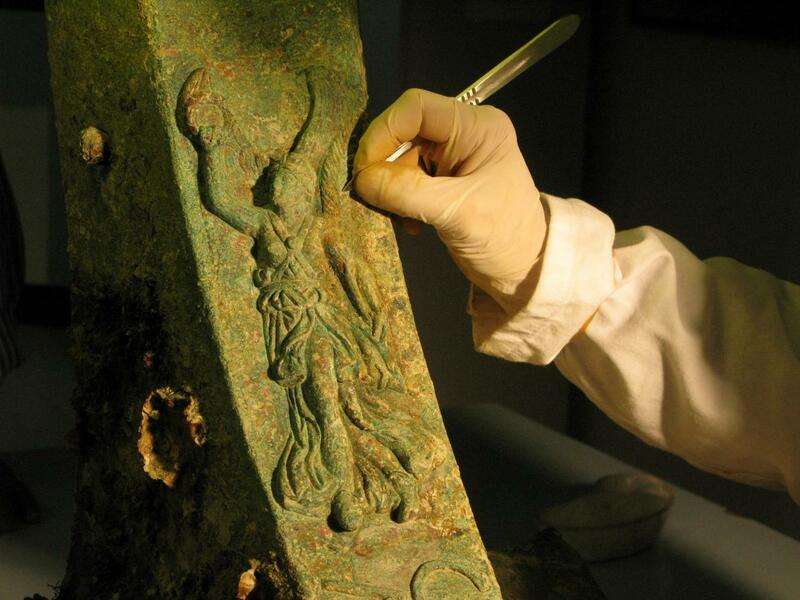 Leading epigraphers and numismatists (currency and money specialists) will also discuss their inscriptions and the relief iconography with which some of the rams are decorated. The project is under the co-direction of Dr Sebastiano Tusa (Soprintendente del Mare, Regione Siciliana) and Dr Jeff Royal (RPM Nautical Foundation). The finds are the fruits of a major underwater survey project, which began in 2005 and has over the course of 7 seasons mapped over 270 square kilometres of sea-floor. The principal methods utilized in this ongoing project are multibeam echosounder mapping combined with verification of anomalies using a Remotely Operated Vehicle (ROV). Conference organiser Dr Jonathan R W Prag, from the Faculty of Classics at the University of Oxford, said: ‘Oxford is hosting an event which could be hugely significant for our understanding of ancient naval warfare. The rams provide unparalleled evidence not just about ancient rams themselves and their use in warfare, but about ancient warship construction itself.